After going through the list of museum in Amsterdam, we decide not to get the I amsterdam card and choose the one we are really interested in. H went to Asahi Brewery Tour during his trip in Osaka and loved it! Thus, we decide to visit the Heineken Experience! Unlike any of the museum I have been to, the Heineken Experience museum offers interactive fun experience rather than an informative one. The first part of the tour was sharing the story behind the beer and brewing process. Next, it was various technology-based experience. Which includes moving to different room for karaoke, video dance off, photo booth and etc. Lastly, the tour ends with getting your complimentary beer at the bar. Overall, both H & I find it fun and because of the vibe. It was fun but definitely not a place for you if you are looking at a place to learn the in-depth history of Heineken. Tip: Purchase your ticket online to skip the queue! Feeling hungry, we visited the Moeders Restaurant for dutch food. The restaurant is called Moeders restaurant aka Mother’s Restaurant. The place is decorated with new and old photos of mother’s from all over the world, giving it a ‘homely’ touch. Plus, the cutlery is different because they were brought by people visited during the opening of restaurant. I had spare rib with fries and it was good! The meat came out easily off the bone and goes really well with the sauce. Plus, the fries came with 3 dip for us to go with! H had beef stew and thought it was pretty good. The stew was thick and beef was tender. We end the meal with dessert and it did not disappoint! Overall, we love the ‘homely’ feel of the restaurant and the food was great too! Service was great too! Definitely will be back! Do note that the place is pack and it is best that you call and book. Otherwise, walk in early to avoid disappointment. 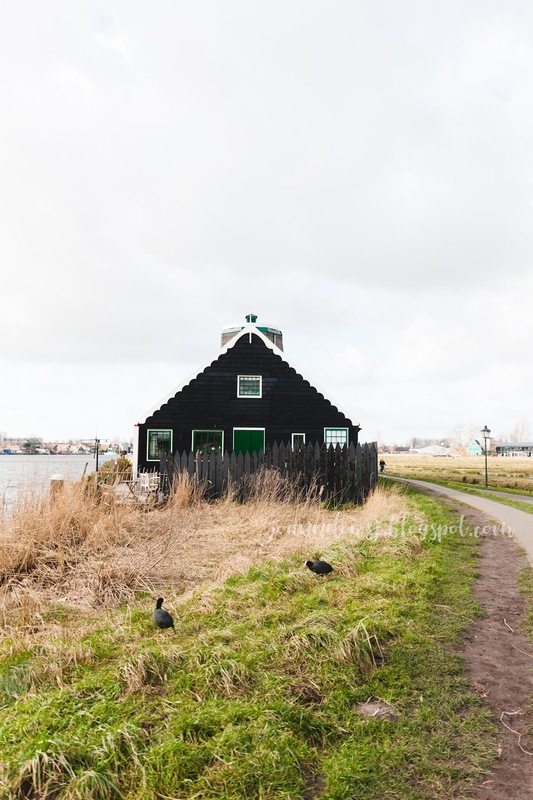 We took a day trip to Zaanse Schans in the morning and was surprised by what it has offer. Although the place mainly caters to tourist but I thought we got a good glimpse of Netherland’s culture. 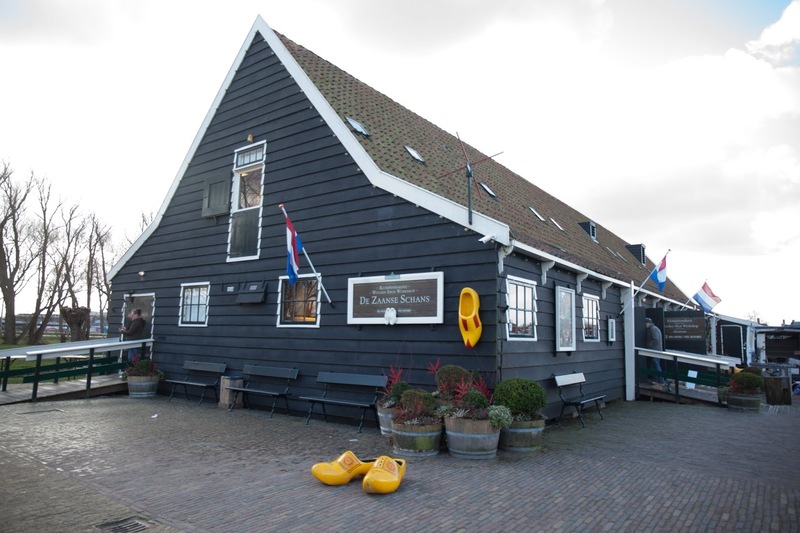 Fun fact: Zaanse Schans is the oldest industrial area in western Europe. We took the train to Zaanse Schans station and walk to Zaanse Schans. First, we visited the Cheese Farm De Catharinahoeve for cheese sampling and cheese making demonstration. There is a wide range of Gouda cheese as well as other Dutch cheese. We had a good experience sampling the cheese. We didn’t get our cheese from this place because my parents had purchase these cheese from their previous trip and we thought of trying out a new shop. 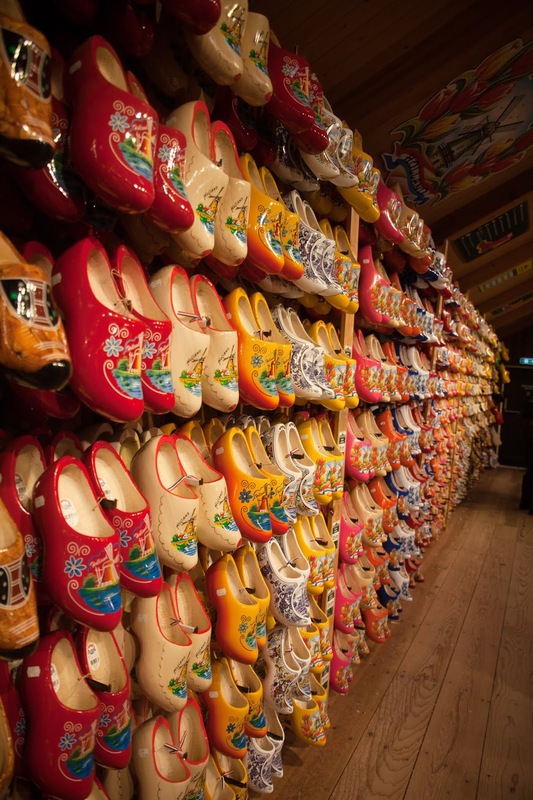 Next, we visited the wooden shoe museum to see how clogs are made. These clogs were used as a safety boots for the Dutch working in industrial area. 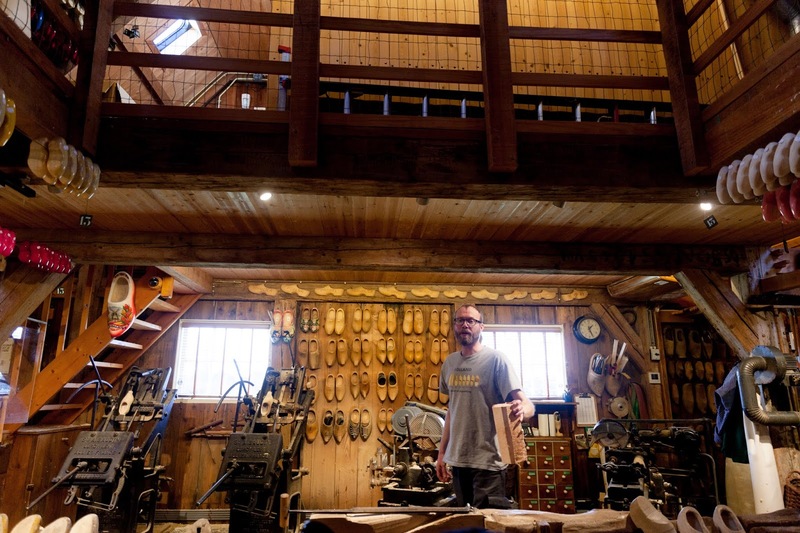 Other than the wide range of clogs showcase in the museum/shop, there are free clog making demonstration throughout the day. We didn’t get any of the clogs because H says that I will break his toes if I wear them at home. Yup, I always accidentally step on him. 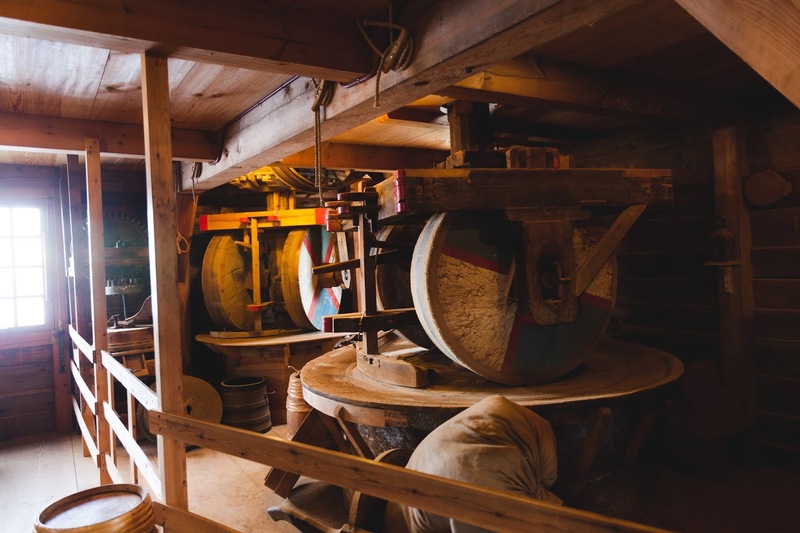 The most interesting visit was to the spice shop/ small windmill museum where we had read about the livelihood of these windmill’s owner and how it has change from tobacco production to spices such as mustard. 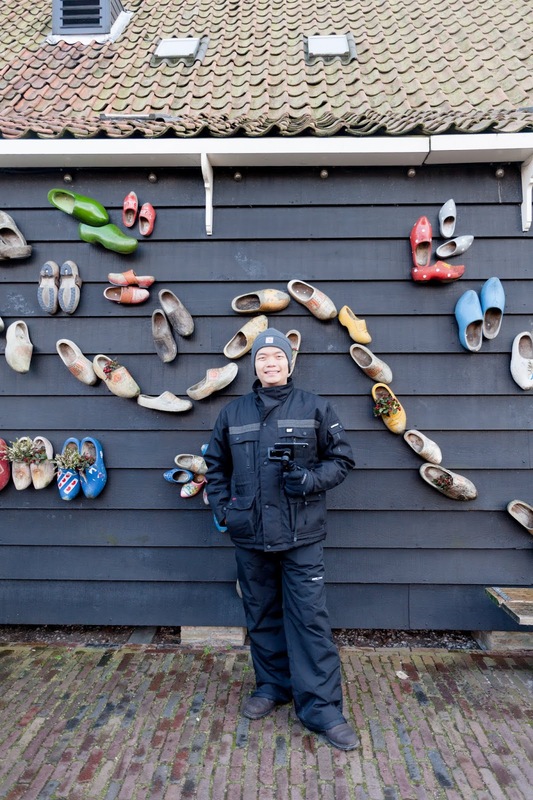 The visit to Zaanse Schans is free and accessible by public. 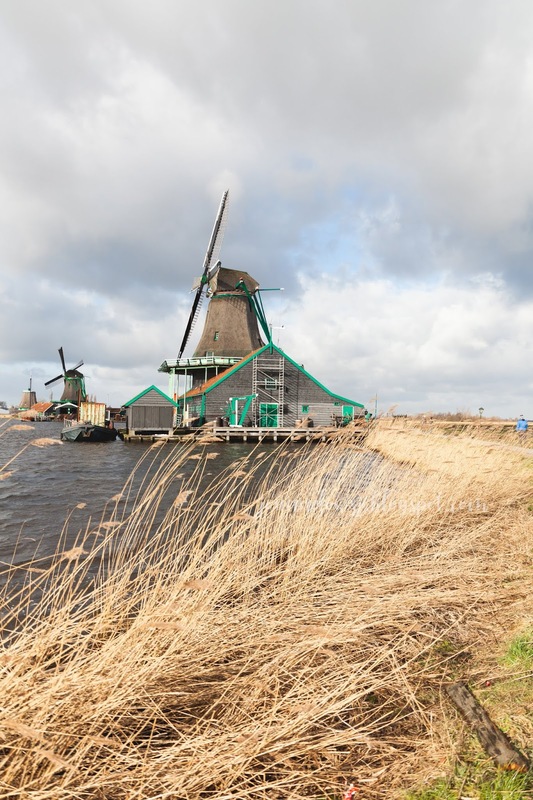 However, if you are interested to visit the museums and windmills, you can purchase the Zaanse Schans Card. Do note that the Zaanse Schans Card does not include transportation. We didn’t purchase the card and explore the free places as well as a spice shop that is also part of a small windmill museum. 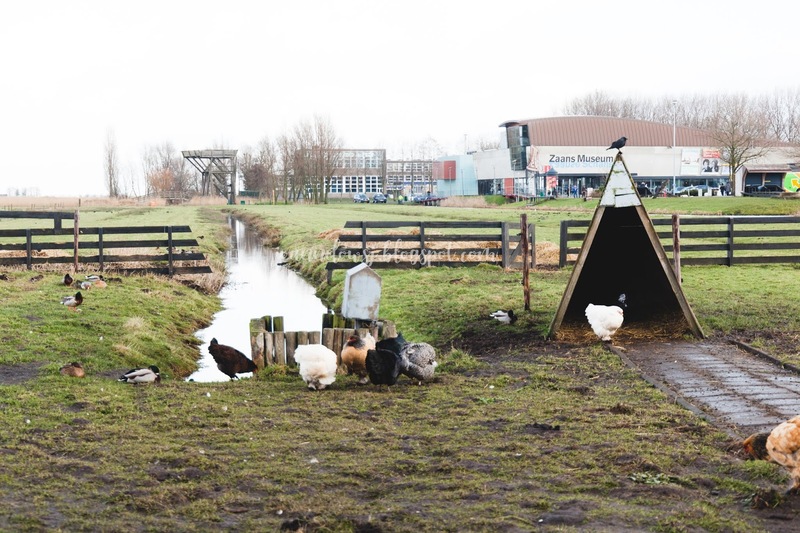 We took a train from Sloterdijk station to Zaanse Schans station and took a 10-15 mins walk. Alternatively, you can take the bus #391 from Amsterdam station to Zaanse Schans. 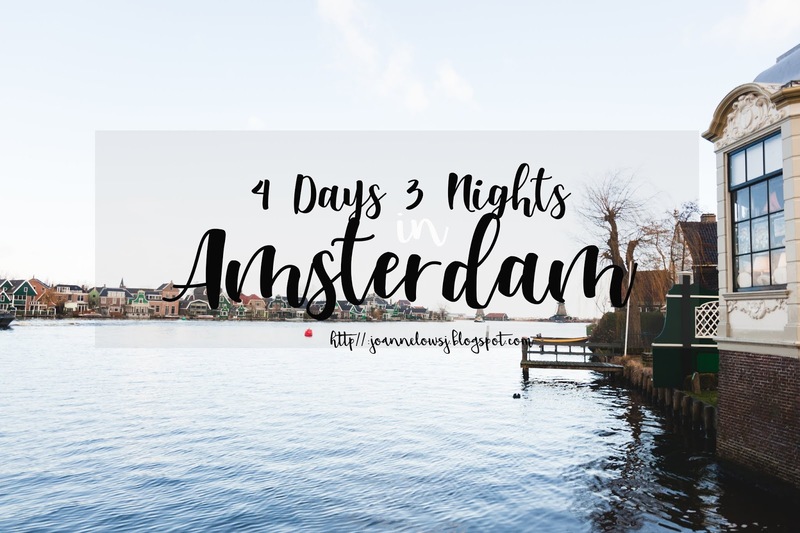 After spending the first part of our day in Zaanse Schans, we head back to Amsterdam city in the late afternoon and continue to explore what the city offers. Amsterdam is a food haven and our first stop is to get the fries from Mannekenpis! The fries are crispy on the outside and soft in the inside. Best served while it’s hot! There were many sauce to choose from and we were spoilt for choices! Then, we went to the nearest Febo in Amsterdam city to try the croquette . Then, we visited the canal Belt and Nine Little Streets for a little shopping. The alleyway along the canal belt offers a great view of Amsterdam heritage as well as artisanal business. There are many cafes, restaurant as well as fashion and accessories boutique shops. 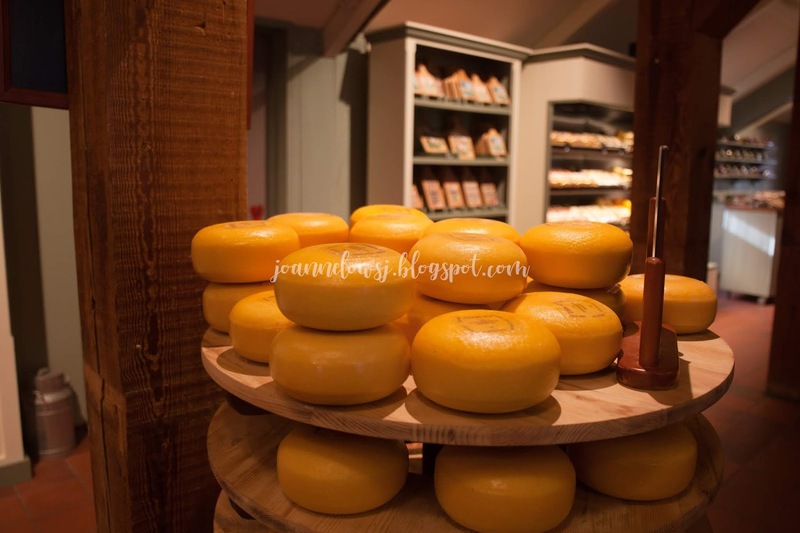 We visited kaaskamer to get some premium gouda cheese before heading to dinner. There is a wide range of cheese. The cheese is amazing! I brought a couple home and share with my guest. They all loved it! Staff are helpful. They even share with us how to handle and keep the cheese if we can’t finish. However, you got to wait patiently for your turn. Like its name says, its’ a bar restaurant. However, this bar serves really good spare ribs! The downside? They do not have proper table. Only bar table or sofa seat. We ordered the Spare ribs with potato as it was the most popular item in the menu. It was served in wooden tray and we are supposed to eat with the tray on our laps. Not a very comfortable position but the spare ribs are really good! The meat came of easily off the rib and sauce were not too sweet. Definitely the best spare rib in town! The potato that comes with the spare rib were tasty too! We called to make reservation. Tables are usually full. So be sure to call and make reservation. The next morning, we stop by the Albert Cuyp market to purchase the famous Stroop waffle. We tried the fresh Stroop waffle with chocolate syrup and it was amazing! Other than the Stroop waffle worth trying for, the market is pretty much the same like all tourist market - selling souvenirs, t shirts and etc. Lunch was well spent at the burger bar. We ordered a chicken burger and the patty was really good! Perfectly grilled! Plus, the caramelise onion and mushroom add more flavour to it! Then, we visited Winkel for its apple tart! Honestly, it was a little let down. Probably hoping the apple tart to be warm but it wasn’t. However, I like the cream that goes with it! It was not overly sweet and gave the tart a more creamy taste. Few Streets down the road, we bought cookies from Van Stapele. The shop that sells only 1 type of cookies. Seriously? It’s the best double chocolate cookies i ever had! Every piece is like jewel, made to perfection. After the walk at Vondel Park, we spend time window shopping at the beautiful street with many luxury boutiques - P.C. Hooftstraat aka the P.C. From Chanel to Hermes, you can find all the luxury brand in the street. Last night in Amsterdam, we decide to pop by The Pantry restaurant for our traditional Dutch meal. We ordered the Pea soup, Stamppot and Poffertjes. Not a fan of pea but the pea soup was surprisingly good. The stamppot consist of mashed potato and vegetables. We ordered it with a sausage and it was superb! Last but not least, we had Poffertjes for dessert. How could we missed the pancake in Amsterdam? It’s so cute! Served with butter, the Poffertjes is served with a scoop of ice cream! Yums! Next morning ,we set off to the airport. Although our stay in Amsterdam was short, we had a great time there! Definitely got to make our stopover in Amsterdam if we have the chance! Which Amsterdam Travel Pass should you get?